Fleetwood Mac’s ‘Landslide’ Appears in ‘South Park’ Season Finale – Ultimate Classic Rock. 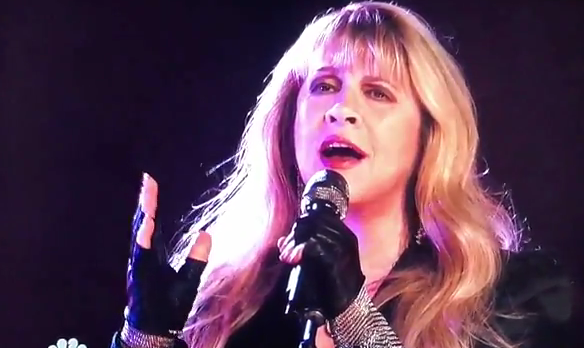 Stevie and Rod are at it again….an encore or their 2011 “Heart and Soul” tour is the happening event of the summer of 2012…Click here for dates and some reviews…. “There’s no one that can take my place,” she sang with fists shaking in “Outside the Rain,” and it wasn’t desperation she was expressing. It was total confidence. 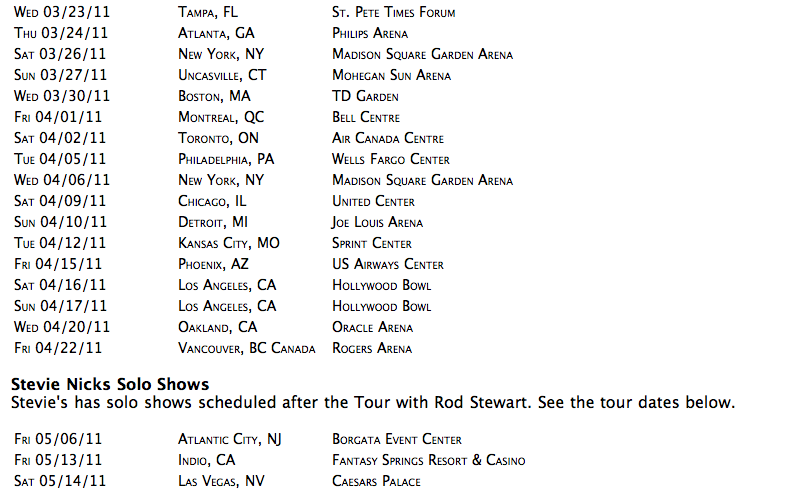 Read Another Review of the Vancouver 4/22/11 Show..
Coming up 4/23/11 Tour Finale ~ SEATTLE ! Hot Tours: Billboard Ranks Heart & Soul Tour ~ Ka-Ching! Yay. Click for Stevie and Rod Quiz….